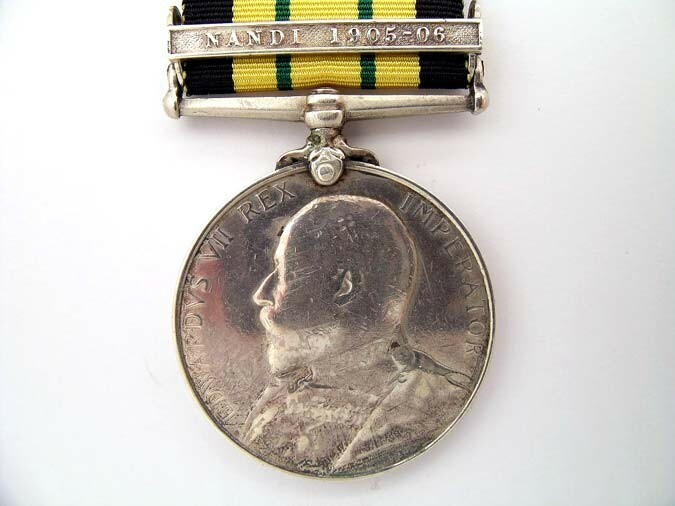 Edward VII, one clasp: Nandi 1905-06 (impressed: 549 PTE. MDALA. 1/K.A.R.). Polished, with minor repair to suspension pin, good fine. 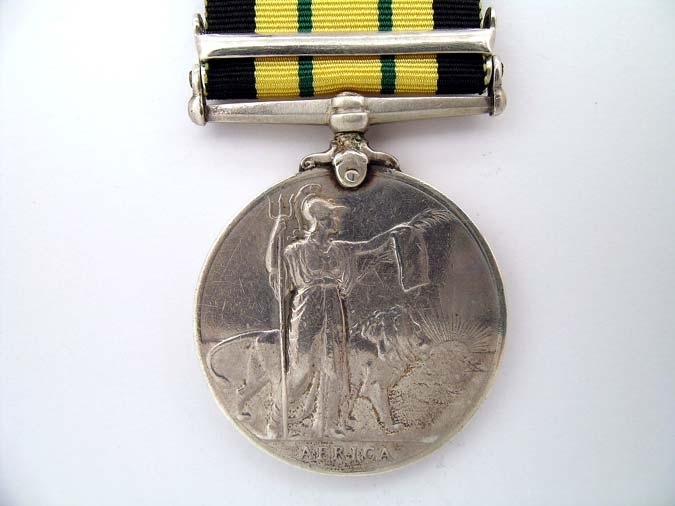 Photocopy of roll page of 1st Kings African Rifles showing entitlement to clasp.